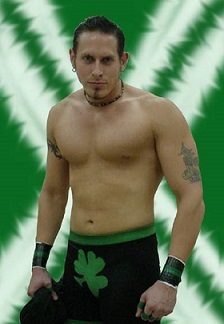 - DSW Debut Show (September 1, '05) = Ryan O'Reilly fell to Jack Bull. - DSW Tag-Team Title Tournament (May '06) = Roughhouse O'Reilly & Danny Gimondo lost to Team Elite. High Impact won the tournament. - DSW Six Flags Park Slam '06 (June 9) = Roughhouse O'Reilly defeated Mike Knox. - DSW Six Flags Park Slam '06 (August 11) = Roughhouse O'Reilly retained the DSW Heavyweight Title, beating Montel Vontavious Porter. - DSW Six Flags Park Slam '07 (March 17) = Roughhouse O'Reilly lost a "Grudge" Match to Bradley Jay.